This is the first mat exercise that we see in Joseph Pilates book, Return to Life. This often is the exercise that most of my clients recognize in one form or another. It is the warm up that turns up the heat internally and fast. This exercise is a whole-body experience that when performed correctly is very challenging. It requires a great deal of concentration and control. Interestingly, it is an exercise that is about breath. The strengthening of the core and the rest of the body are just side effects. It is called the Hundred because, ultimately, you would pump your arms 100 times as well as inhale for 5 counts and exhale for 5 counts, 10 times. Joe Pilates recommended that you never exceed 100, however, if you have ever been my Pilates class you will know that I am terrible at counting😊 and I am usually so excited to share the benefits of this exercise, I forget to count. In Return to Life, Joe’s remarks regarding the Hundred were, “At first you probably will not be able to carry out instructions as illustrated in poses – this proves why these exercises and all succeeding ones will benefit you. However, with patience and perseverance you eventually should succeed in achieving the ideals as posed – with accompanying normal health”. Many times, when I am talking to people who don’t do Pilates they suggest that they could never do this because they have no core strength. The cool thing about the Hundred is we are working up to 100 but if we master good technique even just getting into position may be enough of a workout. Then we work together to build strength and endurance while progressing the movement a little further each time. The Hundred is always challenging in my body and when I think that I have figured it out, I discover there is always something more to work on. I think it is important to remember that every day is different for our bodies, so some days we may find ease with movement, while other days it is a little more of a struggle. That is what I love about Pilates, there is always a way to create movement that will meet our bodies needs each day. The most important thing is that our body is moving and Pilates will help return us all to a movement filled life. Hello Spring – Is It Really You? 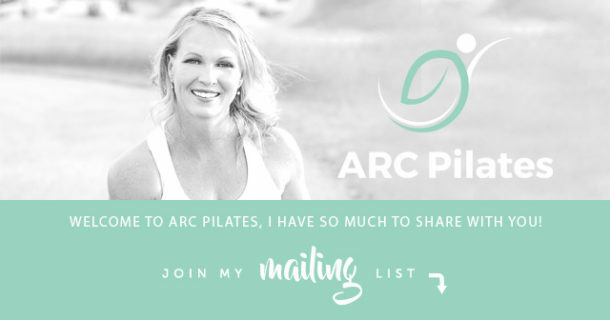 Copyright 2019 | ARC Pilates | Designed by Olive West Design Co.